Most accountants do a good job of putting the right numbers on the right form, but then they call it a day. We don't just record history, we help you write it. We help our clients reduce the stress and costs of owning a business and rescue their wasted tax dollars. Benefit from the experience of Ed Lloyd & Associates to help you: Pay Less Tax Year Round - We do not wait until tax season to get to work. We proactively cut your tax bill with our exclusive proactive tax planning process so you can save money year round. ; Cut Your Cost of Accounting - You need an efficient and effective accounting system and we have the solution. We use the latest technology to cut the amount you pay for accounting services, reduce your time and the risk of fraud, and give you better reporting in real time. ; Reduce the Stress of Running Your Business - Your business is probably your biggest asset. Let us help you reduce the stress of running your business, improve your systems and increase the value of your business with our proven strategies. ; Enjoy Fixed Pricing Solutions - We work with you and provide the services you need in an affordable monthly payment. No billing surprises and you can manage your cash flow better throughout the year. Ed Lloyd & Associates has been great to work with. They're always responsive and explain things in a way that is easy to understand. Their Virtual CFO system really helps you grow your business and cash flow! I would highly recommend Ed Lloyd & Associates. "Ed Lloyd and his team are great. They are very well organized, provide wonderful customer service and are affordable! I recommend Ed Lloyd and his team to everyone! ED Lloyd and Associates develop a personal relationship and are always available for assistance. They are providing best accounting service in Charlotte, I would highly recommend them to anyone. Ed Lloyd is extremely knowledgeable, shrewd and decent individual, we counsel him about startup bookkeeping things, exceptionally suggest! They help the organizations and the citizens to appropriately track the findings and decrease the pay charges also and Every one of the experts at the Ed Lloyd CPA are very much qualified and experienced experts. The managing director of the firm is Ed Lloyd, who holds a degree of B.S in Accounting and great personality who is known for his expertise in the field of accounting and tax planning and one of the most efficient CPA's and highly suggested top –notch service . Ed Lloyd & Associates, provides exceptional support and service for Tax & Accounting services. Their Staff has always provided timely and helpful assistance each and every time I have called or emailed. They have always gone out of her way to help and assist me in every way. They have a caring approach and are true professionals. That kind of approach is very rare these days and is much admired. 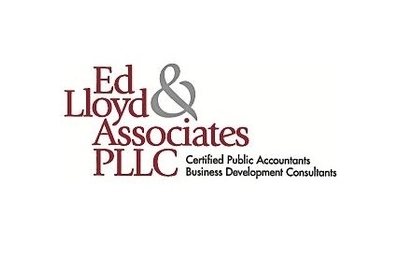 I would strongly recommend Ed Lloyd & Associates to anyone who needs a CPA in the future. Ed Lloyd & Associates PLLC have practical experience in assessment diminishment methods. They help the organizations and the citizens to appropriately track the findings and decrease the pay charges. The firm that specialize in accounting and tax planning. “We were using a “Friend of a Friend” who had worked for the IRS for over 20 years and claimed to know all there was to know about the tax code, as it turns out this Accountant still thought like an IRS employee when doing our taxes instead of working for us and using the tax code to our best interest as a company. After being referred to Ed Lloyd and Associates by one of our business contacts we found out that we left over $7,000 in the hands of the IRS. The staff has been instrumental in helping us understand and use QuickBooks to streamline our daily entries as well as limit the questions that our Accountant has a tax time. Everyone at Ed Lloyd and Associates is friendly, courteous and knowledgeable. The office is modest, in a great location and we left feeling like we were going to have an Accountant who was going to be working hard for us. “I own a small business and most of my time is dedicated to my work. Any extra time spend on the complicated tax code for a small business owner is time / money wasted. Ed Lloyd and his associates were able to streamline my corporate and personal affairs and greatly simplify my tax filing requirements. Peace of mind that my returns were prepared with my best interest at heart and that my filings both personal and corporate were proper and met all requirements helping in reducing my exposure and concern as to an audit. The effort to answer any questions concerning items on my personal and corporate affairs which has helped me in my day to day business decisions that affect my tax liabilities. “I met Ed Lloyd CPA at an executive association meeting about 10 years ago and was always impressed with his knowledge of business and tax preparation. I have learned a lot about the information that I need to get the most deductions. Ed Lloyd & Associates handles our accounting and they are always trying to find additional deductions for me. Handing over the accounting so that my wife did not have to do the work was a big help! Ed Lloyd is great..! Love his vitality and his capacity and longing to get in the trenches to complete things. I have begun working with Ed Lloyd as a consultant for my business and I am exceptionally cheerful to have his locally available on my group. Highly suggested to all business owner. I just meet him for some business advices, he helped me in each part of our business. It was difficult as we are an outside company and there were numerous parts of opening our new pursuit that we were not familiar with. He is exceptionally helpful, educated and experienced. I prescribe him to everybody! We were referred to Edlloyd by my cousin and chose to try him. Edlloyd was exceptionally proficient and took the time to clarify the deference between a LLC and a Corporation. He was exceptionally useful and guided us toward the right course. We highly suggest Ed Lloyd for all your business and individual needs. Yup-he is great. I came in after reading reviews and being in a frenzy about my taxes. He took care of everything and now I gave Peace of mind! Furthermore, now He is calling me to record my taxes during the current year. He is on top of it! One of the most experienced public accountants in the town. They provide quality financial services including accounting, auditing, tax planning, tax preparation, etc., highly recommended to businessman and individuals who have a large payout and are unable to maintain their records. The team at Ed Lloyd and Associates is extremely knowledgeable and made the whole process crystal clear and efficient. I’m very happy that I've found them. I will definitely be returning here to file my taxes. Recommended highly! The team at Ed Lloyd and Associates is easy to work with, knowledgeable and friendly. They are good at what they do and work hard to get you the highest return possible. I recommend them high. They are super amazing! I recommend the magazine ‘Construction Today’ high. Going through the pages of the magazine, I got to know about the latest construction trends, news and updates about the construction industry. I am a civil engineering student and it has really helped me a lot. Great magazine. It was amazing experience for me to work with Ed Lloyd and Associates, PLLC. They have been very attentive to my details. They responded to my calls and messages in a timely manner and patiently answered all my questions and queries. I recommend them high.